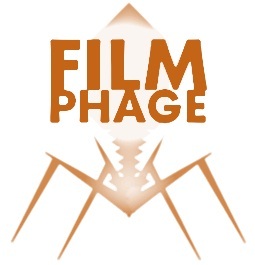 Hello… I am The Phage… the one and only voice of Film Phage: the infectious film review site! Welcome to our little corner of the internet – it’s quite cosy in here… though maybe a little bit too orange for some people’s tastes. Regardless, welcome! What’s the site about? 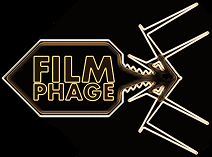 Well, back in July 2012 I thought to myself “I see a hell of a lot of films… and I have opinions about these films… maybe I’ll see if anyone else cares what I think”, and so Film Phage was born. I generally head out to the cinema to see 2 films per week and whack those opinions up on here. Normally with some weird angle on things. Someone once asked if I’d do DVD or “classic” reviews… maybe one day, but for now Film Phage is all about the latest releases. And although the vast majority of the posts are reviews , I occasionally dabble in rambling articles about things that are happening. If you want to get the reviews shipped to your inbox, then hit the big orange button on the left hand side and you’ll get the latest ones right away. Or you could come back here often if the infection catches on? And definitely feel free to comment on anything and everything by clicking the speech bubbles on all of our posts / scrolling down to the bottom. We love to hear from you. I also like to refer to us as I and we… I don’t know why… it just feels natural. Anyway, welcome to our site. b. Movies considered as a group. a. A type of virus. b. A suffix meaning “a thing that devours”. b. Your new favourite movie site. a. Rating system of "Film Phage"
b. ♦ ♦ ♦ ♦ ♦ : Epidemic infectivity; a masterpiece. ♦ ♦ ♦ ♦ ◊ : Highly infectious; great. ♦ ♦ ♦ ◊ ◊ : Infectious; good. ♦ ♦ ◊ ◊ ◊ : Alive; ok.
♦ ◊ ◊ ◊ ◊ : Sterile; poor. All stills / logos are (c) their respective studios. Enjoying your stuff here. I’m looking for a “follow by e-mail” button. Do you have one at all? I find it easier to keep track of people’s stuff when I get an e-mail notification. Cheers! Hey Mark – thanks for the kind words! If you want to follow there should be a button on the left of the screen below the menu that says ‘Phage Me’ – that’ll give you email updates. Cool! I do most of my blogging through my phone and the email button doesn’t seem to show but when I get onto a proper computer I’ll have another look. In the meantime, I’ll check my reader for your posts. Thanks! Awesome – thanks for the kind words Victor – welcome to the Phage Gang!